Greer Management prides itself on providing an atmosphere that is inviting, comfortable and worry-free. 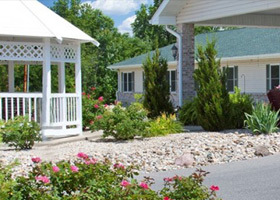 Our beautiful home-like communities were designed with our residents in mind. Your comfort was considered in every step of the planning process. We offer a wide range of services that can be tailored to your needs, which may include bathing assistance, reminders and transportation, just to name a few. Our caring staff is here to serve you with compassion and dignity while fostering your independence and security. When you choose to make your home at one of our communities you become part of our family. We strive to create a neighborhood in which residents, family members and staff feel accepted and connected. Thank you for your interest in Greer Management. We invite you to schedule a tour, ask questions, meet our staff and visit with the residents at any of our neighborhoods.